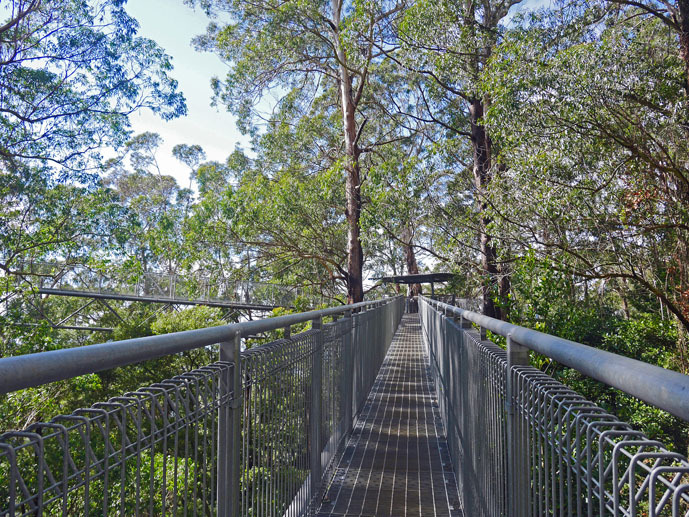 Just one and a half hours drive south of Sydney is one of the worlds newest elevated treetop walks, the Illawarra Fly. 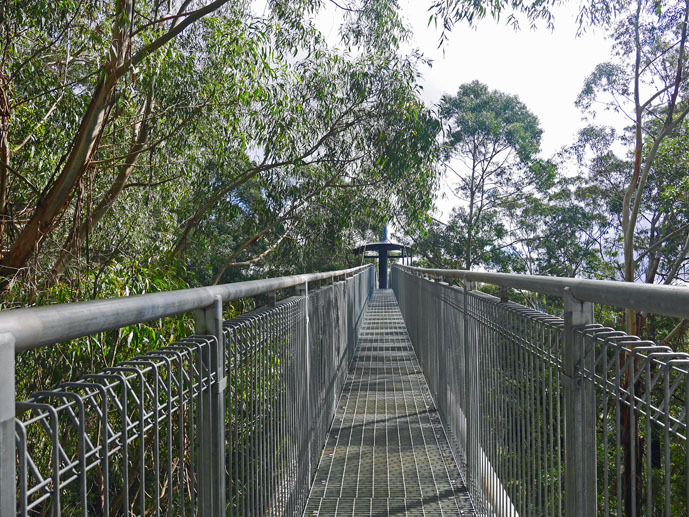 Although there are many elevated treetop walks in the world, what makes this one a bit different is that it’s entirely made of steel. 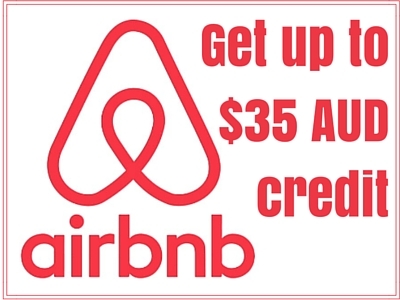 There are only three others like it in the world and all happen to be located in Australia. 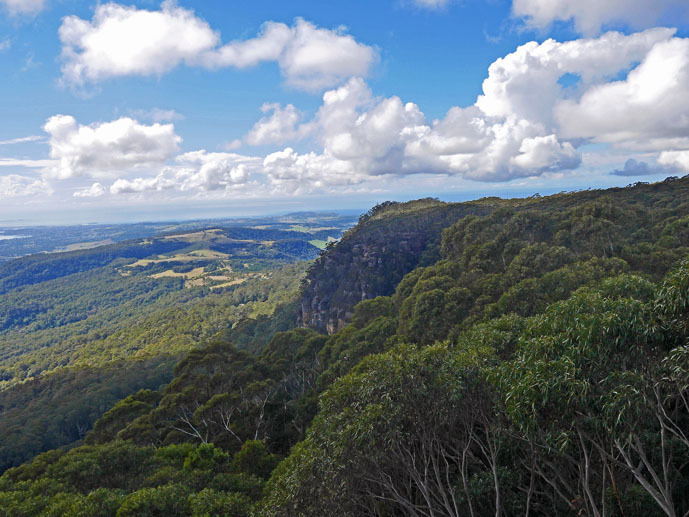 Visiting the Illawarra Fly Treetop Walk is one of the not to be missed detours when exploring the Grand Pacific Drive. 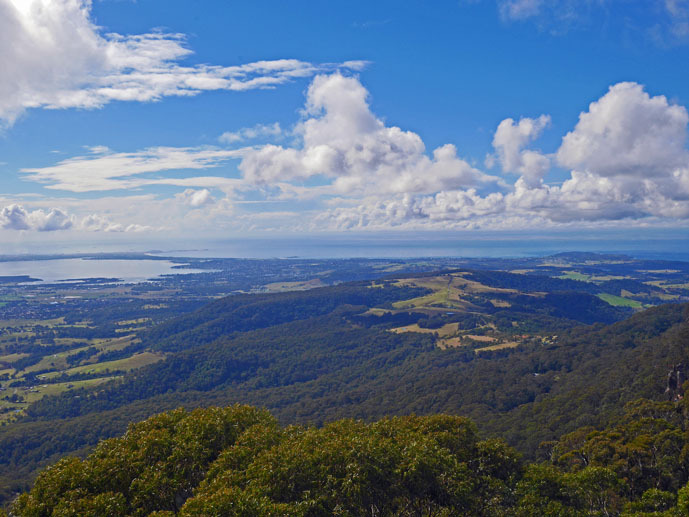 It is easily reached in a day trip by car from Sydney or over a weekend exploring other attractions in the area. 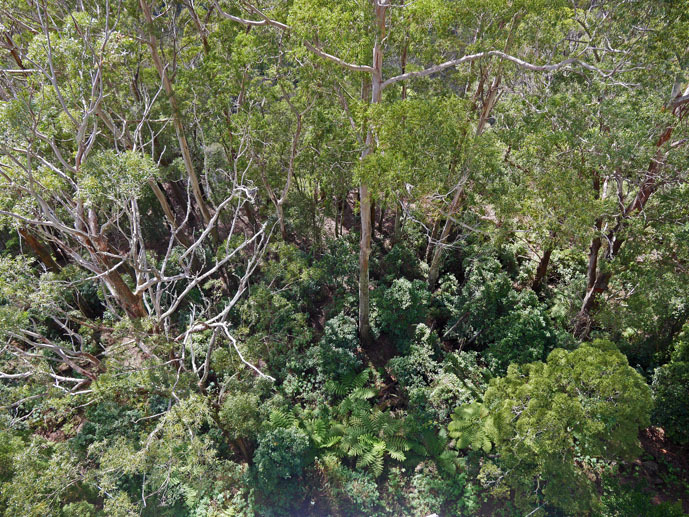 Let me take you on a little guided tour through the rainforest and out over the treetops for some incredible views. 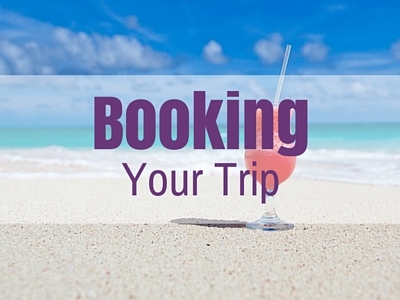 Your visit begins at the visitor centre where you purchase your tickets. Here you can also enjoy the cafe, at the start or end of your walk, which services hot and cold meals, drinks, snacks and homemade cakes. 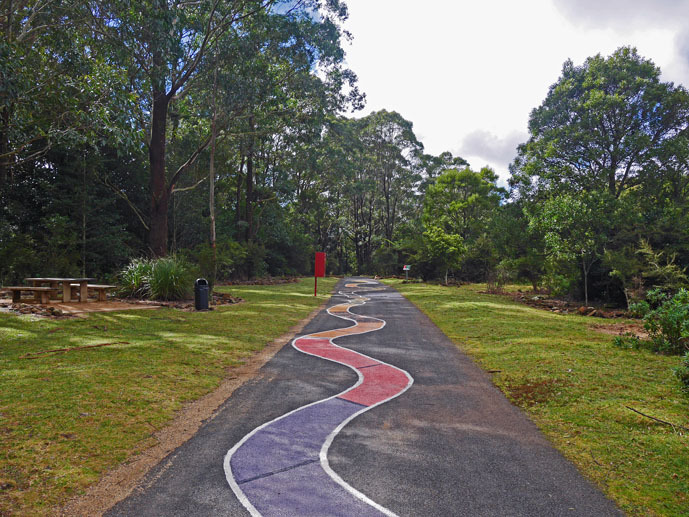 Once your through the gate your walk begins by following the colourful snake painted on the path leading into the bush. The path takes you down through the bush for about 5-10 minutes. As you walk there are information boards explaining the different wildlife found in the area, facts about the forest and information about the different types of plants. For kids (or childlike adults) there are fun animal cut outs that they can poke there face through for photo opportunities. After the short walk you reach the walkway. Its difficult to believe that your about the step out over the rainforest below and enjoy incredible views like it says in the brochure. But surely enough, after just a few steps on the steel grated platform you look through the trees and catch glimpses of of those promised views. At the end of the first platform you take a left and head towards the first cantilever. A cantilever is basically another part of the structure but instead of it being supported by massive steel towers concerted in the ground below, it is suspended over the rainforest and held in place by steel rods. I’m not going to lie, it did made me a bit uneasy at first. Because the cantilever is only suspended and not fully supported like the rest of the walkway, it has a bit of a bounce to it when you walk and move. I am thankful it was a quite morning and we were the only ones there! But guarantee that all those nerves will be quickly forgotten when you reach the end of the cantilever and look out over the treetops. Heading towards the middle of the walkway now, you’ll get the occasional glimpse of view to the left and up close looks at the Eucalyptus trees and ferns to the right and below. Next you’ll reach the Knights Tower. 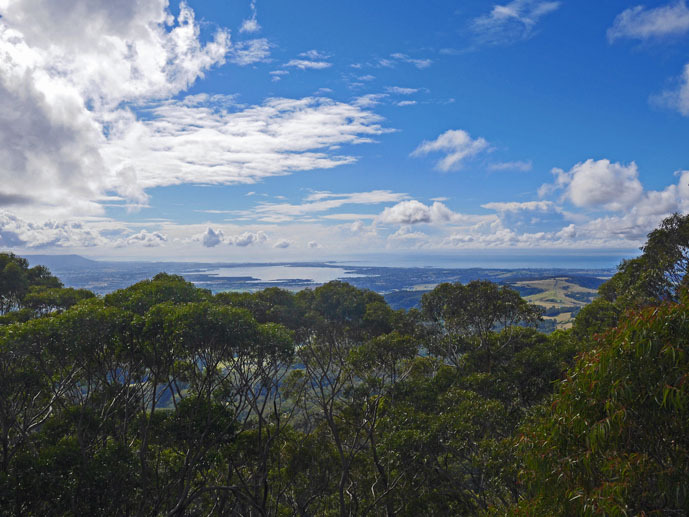 Climb the steps to the top for what can only be described as a simply breathtaking view of the treetops below and the coastline, valley and Lake Illawarra in the distance. From the top of the tower you also get a really good perspective and view of the walkway itself branching out to the left and right, occasionally poking through the treetops. Once you manage to pry yourself away from the tower and those views, continue along the walkway towards the end to the second cantilever. Because of its positioning on the far right of the structure it affords views that are almost as impressive as from the tower. Your walk through the treetops is over and its back to the visitors centre via the same path used to reach the walkway. Construction of the walkway took just 6 months and was completed by a team of 6 who assembled and erected the structure onsite. There are ten support towers each having three support cables and a span of 40 metres between each tower. Approximately 400m³ of concert was used to secure the footings of the towers. So don’t worry, it’s not going anywhere! 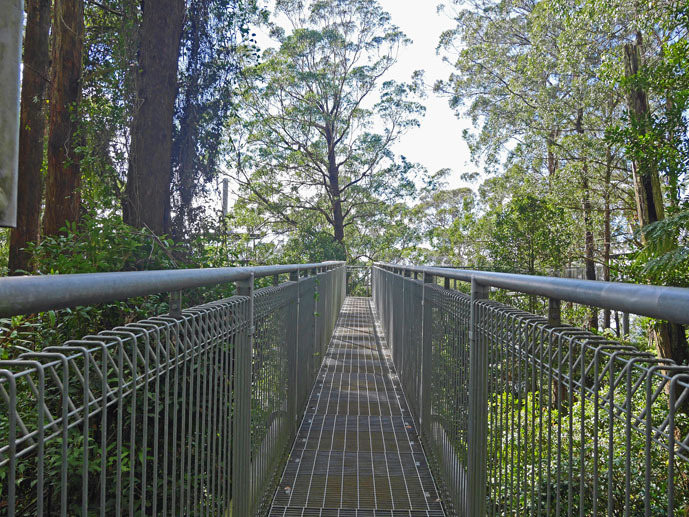 The walkway itself is nearly 500 metres long and is an average height of 25 metres off the rainforest floor. The Knights Tower is 45 metres high. The walkway can withstand wind speeds of up to 280 km/h. Although it might not feel like it when your walking on them, the cantilevers can hold a massive 28 tonne! The walk is simple to complete for all fitness levels. Certain parts are wheelchair accessible and there is also an on demand shuttle cart service to the walkway from the ticket office for people who are less mobile. 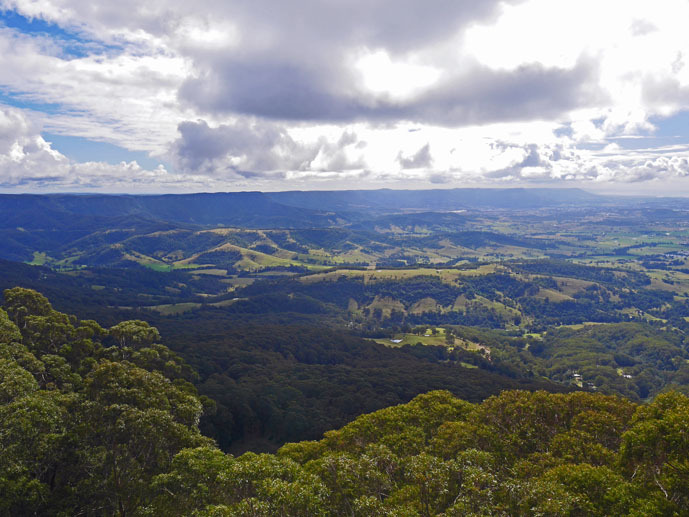 Location: 1.5 hours south of Sydney on Jamberoo Mountain Rd, Knights Hill. 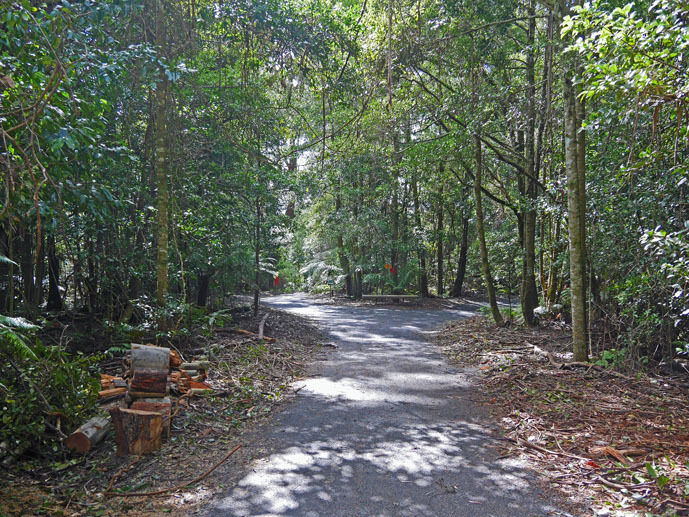 Access is either via Robertson or Jamberoo. Hours: Open daily from 09:00-17:00 with the last admission at 16:15. Allow up to one hour to enjoy the walk. A free guided tour is available daily at 11:00. 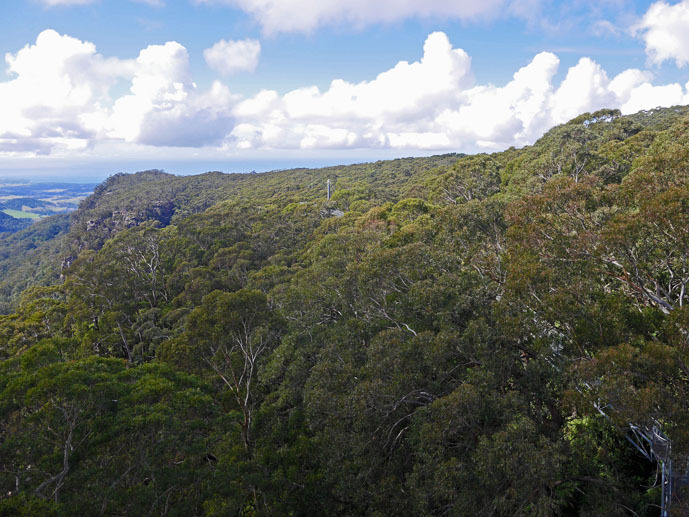 Have you walked through the treetops somewhere in the world? Where was it and were the views just as good as this? 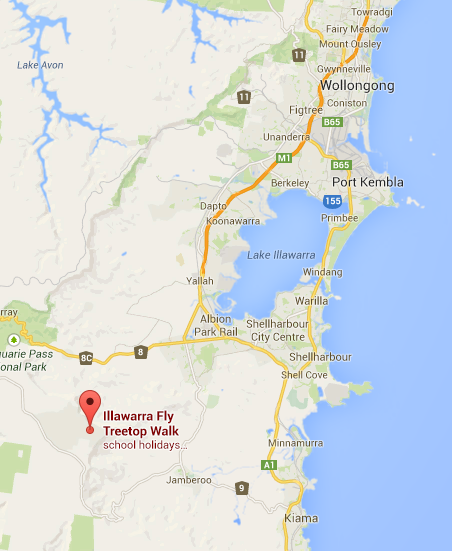 Jen, thanks for sharing your visit to the Illawarra Fly. 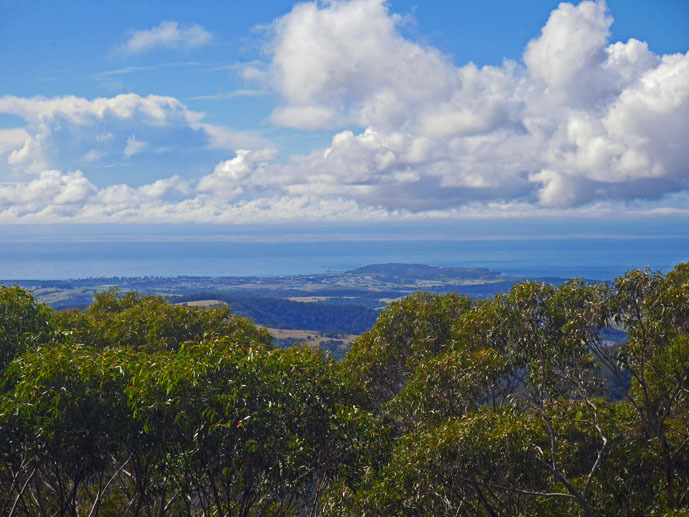 We also visited there last year and it is a great option to see both the amazing views and to get up close and personal with the forest. Thanks Anne, its truly one of the best views i’ve come across. I’ve down Kew as well which I enjoyed but The Illawarra Fly is on another level all together. You’ll love it! 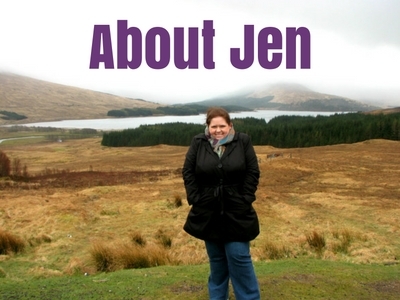 This looks absolutely amazing Jen, it’s right up my alley! It is. Hopefully when you come and visit me one day I can take you there. I thought it was great that they made it partially wheelchair accessible. Hope you get a chance to visit it someday. 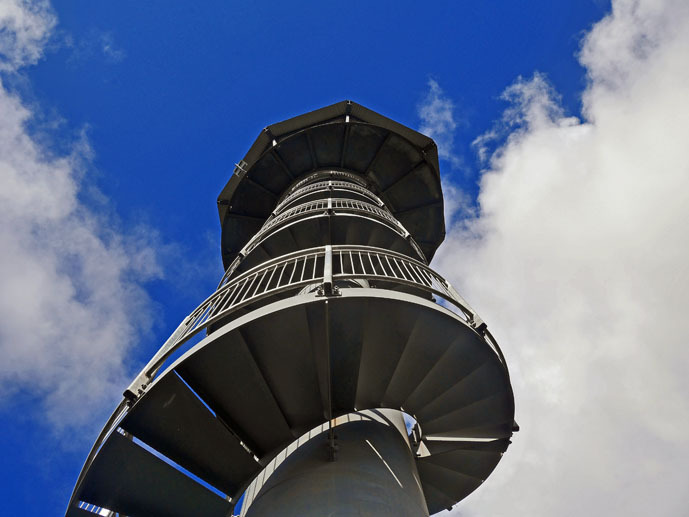 That view from the top of the tower is just stunning! The closest thing I’ve ever done to this is zip lining through the treetops in Costa Rica, which was cool, but the views weren’t anywhere near as gorgeous. I’d love to go zip lining! I think it would be way cooler. Oooh, cool! My friend lives in Wollongong and she’s actually mentioned this place! Lovely to see photos finally. It’s awesome Karyn. Next time your up here you should check it out. That’s awesome! I’ve never seen one like this before made of steel. I’ve done one before in northern Ontario, Canada, where it is wooden platforms and you wear a harness and walk along them using carabiners to secure yourself in place. I love the views here, they are so beautiful! Treetop trekking is so much fun. Wow that sounds cool Lauren. No harnesses required for this one as it’s completely safe with should high railings. Would love to check out the wooden one someday. Thanks for sharing. The view from Knights Tower is amazing. 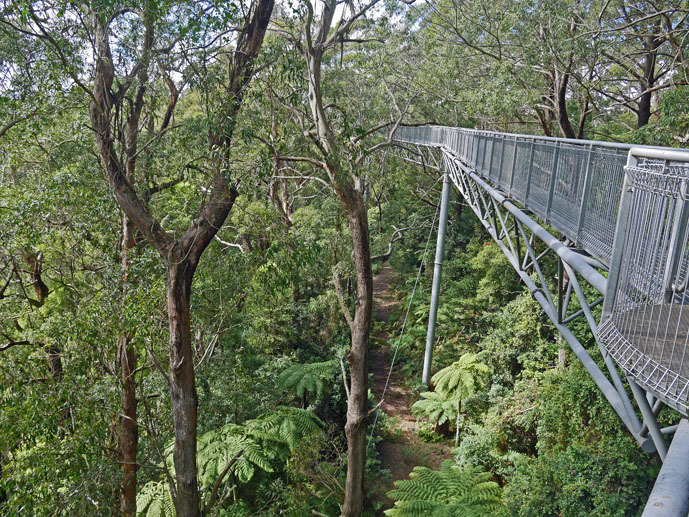 We’ve walked on a few treetop canopy walks the past few years. I’m afraid of heights so it’s a little challenging for me to do it sometimes. Thanks for sharing and linking up to #WeekendWanderlust this week. Thanks Carmen. I’m not so great with heights either but after the first few minutes I get use to the height and start enjoying the view. It looks like such peaceful walk and one I could easily imagine myself taking over a lazy day over the weekend. Thanks Dale. It is a very peaceful place indeed.